As there are different environments for using the stackable chairs, they also come in a variety of finishes: oak stacking chairs, birch stacking chairs, walnut stacking chairs, zebrano stacking chairs and many others. The flexibility of material provides flowing shapes of the chair design and ensures aesthetically pleasing and compact storing and transporting. Flow – a popular design both among designers and customers. Depending on the finish the chair changes its look. Favourable finishes in Europe include walnut, oak and birch stained black. Designed by Jakob Berg, Denmark. 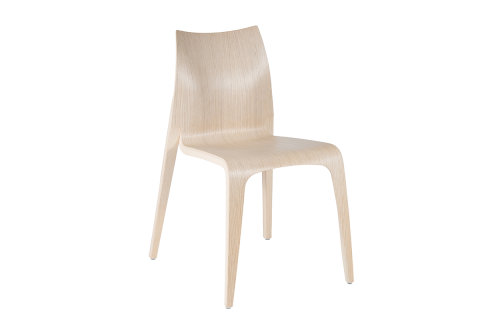 Zesty – this three-piece and a 3.5kg chair is a great example of the flexibility and functionality of moulded plywood. While employing minimum material it is very stylish and comfortable. Designed by O4i studio, Sweden. 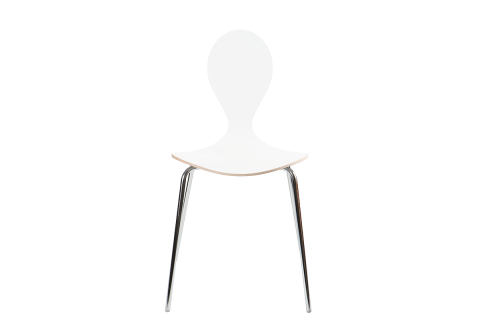 Frame – this design provides an illusion of a transparent chair due to the rectangular cut in the backrest. The frame is suitable for a wide spectrum of interiors. 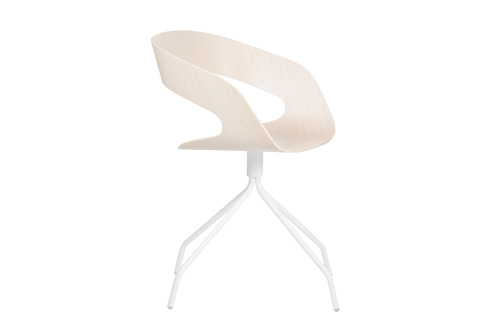 The chair is pressed in one entity, however, the thickness of the wood can be adjusted to individual needs. Designed by Komplot design, Denmark. 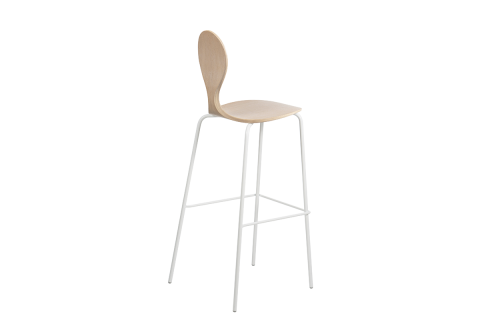 Pyt and Pyt bar – this stackable chair is suitable for the modern cafe, restaurant or reception room. The construction of the chair is especially thick, so it is ready for regular usage. In addition, Pyt bar is high enough to be used even as a hanger for a long coat. Designed by Komplot design, Denmark. 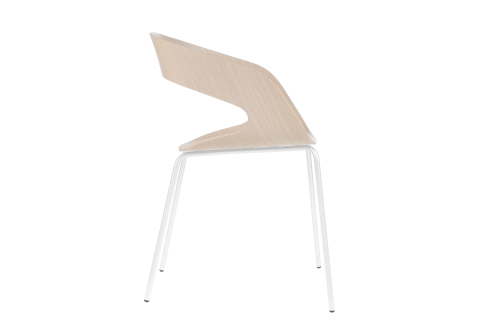 Python – standing out due to its uniquely shaped backrest it is a perfect chair for an Internet cafe or a reception. The design of the backrest reminds that of a coat hanger, so it also functions as a place for a jacket or a coat. The construction of the chair is sturdy and thick, it will serve the purpose of public furniture greatly. Designed by Komplot design, Denmark. Finestra – the stackable chair is designed to flow nicely with the interior of any environment. The window inspired backrest provides lightness and transparency to the room. A minimalist and clean design for multi-purpose use. Designed by Komplot design, Denmark. 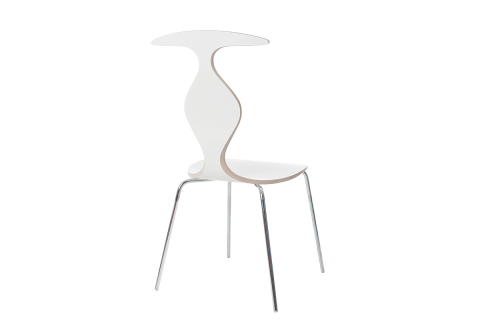 Another popular design that Plycollection offers is Chat and Chat Swivel. This is not a stackable chair, however, it embodies the rest of the great product qualities. 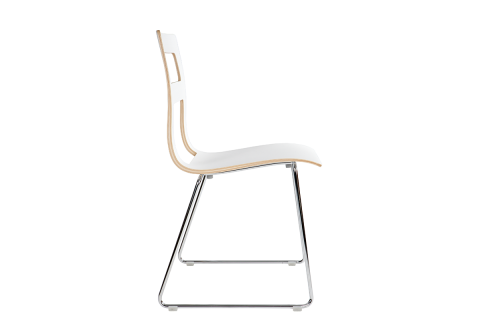 This chair is suitable for residential areas, corporate meeting rooms and hospitality. The design is both pleasant to the eye and the body, and it will serve as a unique accent in any interior. Designed by Jakob Wagner, Denmark. ability to gradually transition material thickness. 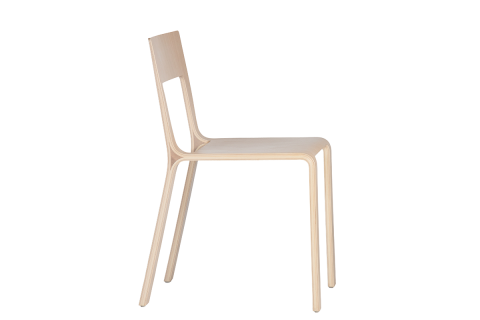 Even though the material of the stackable chairs is thin and light, plywood is naturally strong and durable. This combination allows the furniture to be both practical and aesthetically pleasing. All chairs are tested according to DIN EN 1728, DIN EN 13 761 that is required for public furniture. Furniture is made in the European Union, in Latvia according to EU guidelines. The designs take a smart and modern approach to a classic solution within limited material without losing elegance and playfulness. Designer stacking chairs are developed by moulding the plywood so that it fits anywhere – public spaces, offices and homes. Jakob Berg – his work has been produced in Sweden, Portugal, Egypt, Costa Rica, Vietnam, Bolivia and Latvia. His work is inspired by relaxed positions while being ergonomically thoughtful. Komplot design – the personal design is shaped by a wide variety of experiences and backgrounds. The designers approach the problem from multiple perspectives, not just as a means of functional furniture. O4i design studio – the studio focuses on modern public and domestic furniture, mostly focusing on office and educational environments. They work with well-known companies from Denmark, Latvia, Finland, Canada and the USA. Jakob Wagner – a very respected and award-winning designer, essentially his focus was on hi-tech products for sports, professional and medical applications and home products. Wagner’s designs embody simplicity and sophistication, made for the end user. Plycollection has its roots back in 2000 as it continues the work of BFDF and Chair Baltic. The experience in working with different and international clients has enriched the skills of finding the best custom product for all needs. These are just a few examples, however stackable designer chairs come in classic hues too. 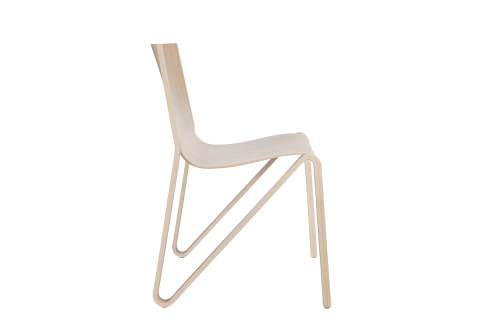 Plycollection develops white stackable chairs, brown stackable chairs and naturally wooden stackable chairs. When ordering plywood stackable chairs there is no minimum order and the delivery is international, starting from 5 days.